A deck brightener differs from a deck cleaner in a number of ways. Deck cleaners contain variations of bleach that are designed to remove dirt and mold from the wood. A deck brightener contains acids that restore the PH balance of the wood and bring back its original luster. After you have sanded your deck completely to remove the old finish, use a deck cleaner, deck brightener and stain to make your deck look brand new. A deck brightener restores the wood's pH balance and natural luster. Apply deck cleaner to the deck with a mop. Let the cleaner sit on the surface for 15 minutes. Scrub the wood with a stiff-bristle scrub brush. Scrub along the grain of the wood. Rinse the deck completely. Mix deck brightener with water according to the package directions. Allow the brightener to sit on the surface of the wood for 15 minutes. Add more brightener as needed to keep the wood wet the entire 15 minutes. Rinse thoroughly to remove the product from the wood. Let the deck dry completely. Pour the stain into a roller pan. Roll stain onto the deck with a long-handle roller, working with the grain. Wipe away the excess stain with a clean towel. Let the stain absorb into the wood for 30 minutes. Add more coats of stain, using the same technique, until you achieve a color that you like. 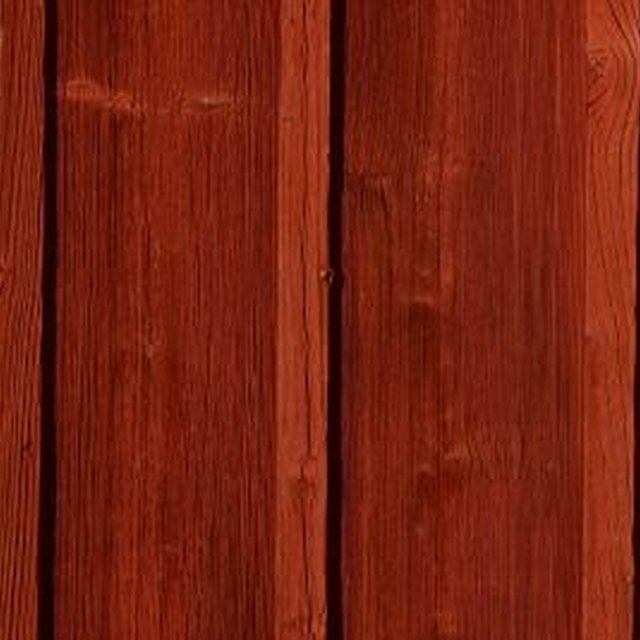 Deck brighteners are typically used only on cedar and redwood decks. Powerwashers and Pressure Cleaners: Will A Deck Brightener Actually Clean Your Deck?